First, think back to what didn’t work or possibly broke on your last hunt, or back into bow season. Need to fix a treestand that squeaked when you stood up? Did a semi-auto shotgun fail to cycle shotshells? Was a flashlight dead or low on power? While gear issues are fresh on your mind is the best time to tackle the problems and seek solutions. Take action now to be well prepared for next year. And what about gear that needs to be stowed until next year? Plastic containers with snap closed lids are great places to store clothes, boots and packs. Be certain all items to be stored are clean and dry before you close the lid tight. Before packing is a great time to wash all clothing with scent eliminating detergent, such as Remington’s new line of scent-free soaps. You can also buy oversized Ziplock storage bags for clothing to keep items away from common household odors and more ready for next season’s hunts. Firearms should be UNLOADED (check this) and then cleaned, lubed and properly stored. 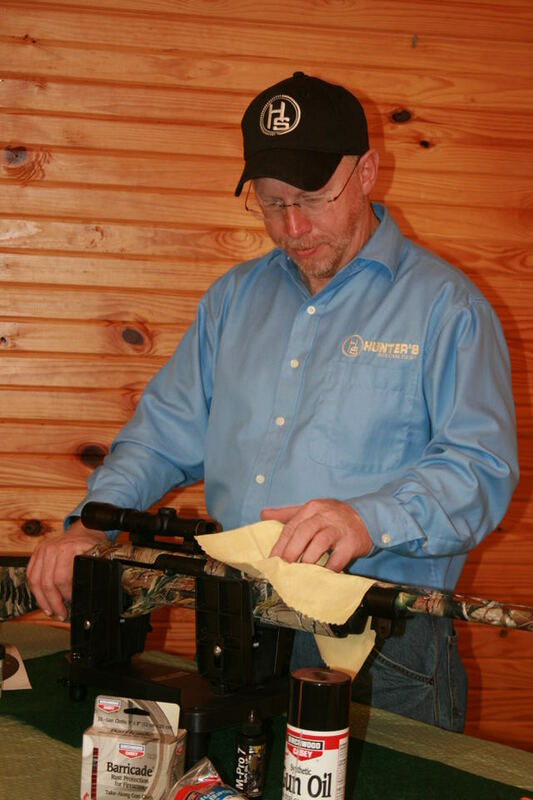 If you have a large variety of firearms to clean, consider a universal kit such as Remington’s Squeeg-E Universal kit (www.remington.com) that covers everything from a .22 to a 12 gauge. Now is also a good time to clean scopes with approved cleaning solutions (not Windex) and the proper brushes and wipe cloths. Duck decoys, 3-D archery targets, treestands, trail cameras and other items from the hunt need proper care and storage to provide years of carefree use. Remember to remove the batteries from trail cameras during storage. If these are going into a garage, shed or barn, be certain they are placed in areas where mice and other critters don’t chew and destroy. If you are uncertain how to care for, repair, or store any item, you can always contact the manufacturer for details and care guidelines. A helpful hint: Some optics manufacturers sell, or will provide, cleaning kits for coated glass, and some will clean your optics free if you ship them to the headquarters. 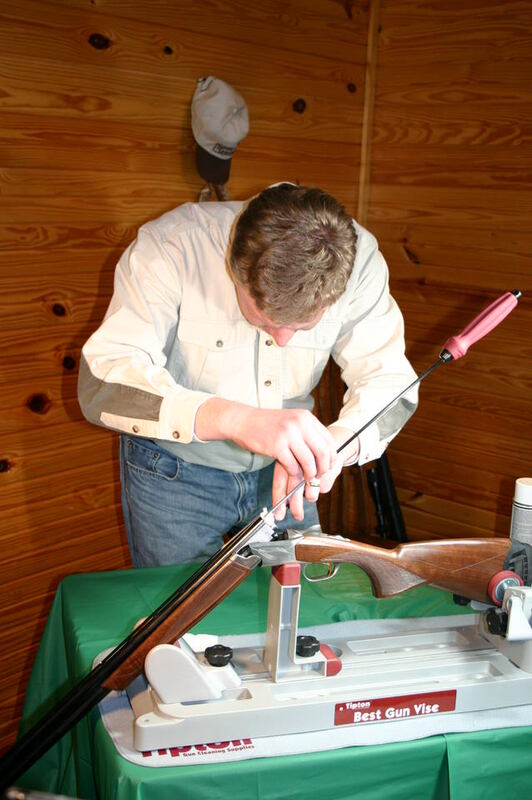 Now is also a slow period for gunsmiths, so any firearms repairs should take less time to complete. Don’t fail on next year’s hunt because you failed to care for your gear now.